Multiple reports show that loneliness can be traced to those dealing with various health problem who feel alone. Elderly people also suffer from loneliness, especially when they’re isolated from family members. The group with the lowest loneliness score? Those over the age of 72. God also formed a spiritual family for us to belong to. The Bible calls it the church. The various “one another” commands in the Bible speak to the importance of being an integral part of a church family. We are called to “belong to one another.” “Care for one another.” Comfort one another.” “Encourage one another.” And “love one another.” When the community of Believers function as God directed no one should ever be alone. Furthermore, Christians have a responsibility to “to do good to all people” (Gal. 6:10), love our neighbors (Matt 22:37-40), and seize opportunities to be a “Good Samaritan” to those who are hurting and helpless (Lk. 10:25-37). Christians can help alleviate the feeling of loneliness when we are serving the needs of others. 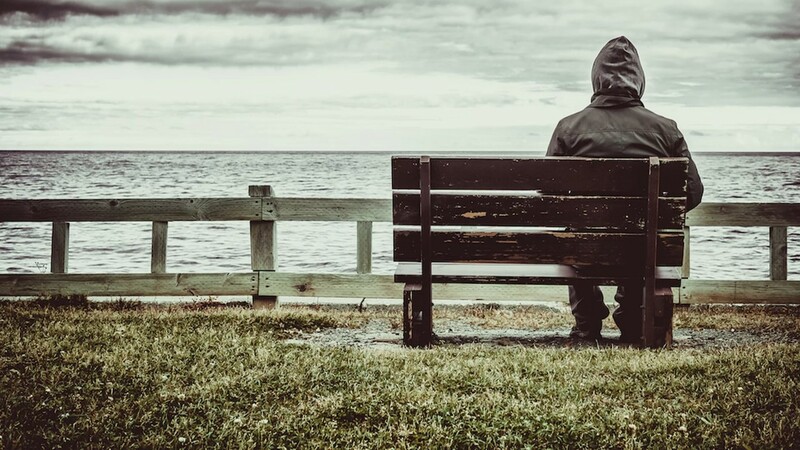 It seems that a good deal of the loneliness problem is a failure to follow God’s plan. Dealing with and solving the problem of loneliness is a dual duty. In the first place, each individual has a responsibility to belong. When we isolate ourselves from our families, are not connected to a church family, and become a social recluse, we are going to be lonely. Each person must seek to give. To share. And to be a part of the community. “Art thou lonely, O my brother? Share thy little with another! Secondly, those who are connected and emotionally healthy bear a responsibility to those who are hurting, lonely and isolated. Some people through the circumstances of life find themselves alone through no fault of their own. Those suffering the death of a loved one. The divorced. Single people. The aged in a nursing home. People who’ve been transferred by their employer to a new location. God calls us to minister to those who are weak. Suffering. Sick. Aged. Alone. And hurting. (Rom. 14:1; Jas. 1:27: 1Cor. 12:26; 1 Thess. 5:14). Reach out through a visit. A phone call. A card. A text message. Help them feel connected. Finally, when we feel isolated and lonely, let us, like King David, turn to the Lord for comfort, consolation, and strength (Ps 25:16-21). When we have the Lord in our lives, we are never truly alone..